This is a continuation of our trip that started in Austria. 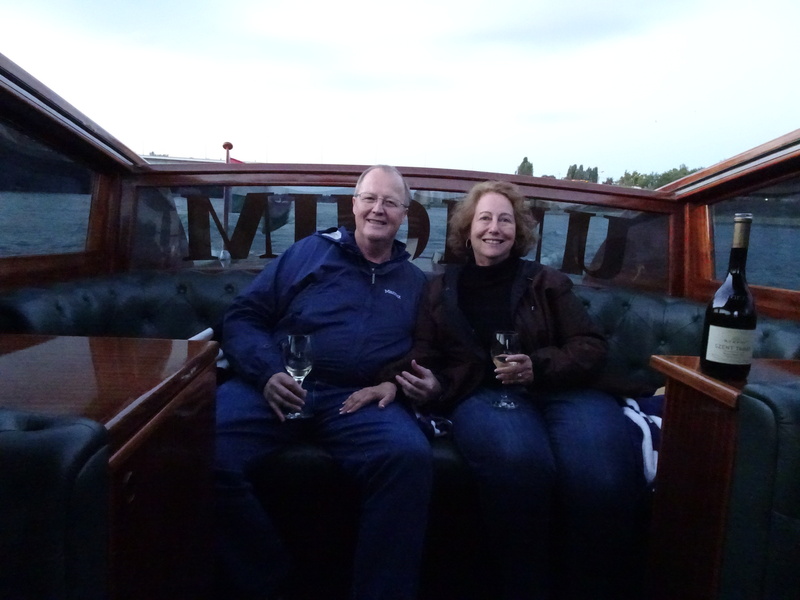 Click here to read about our visit to that country. After our stay in the Wachau, we drove back to Vienna where I had arranged with Taste Hungary (http://tastehungary.com/) to pick us up and drive us to Budapest, stopping in the Sopron wine region along the way. 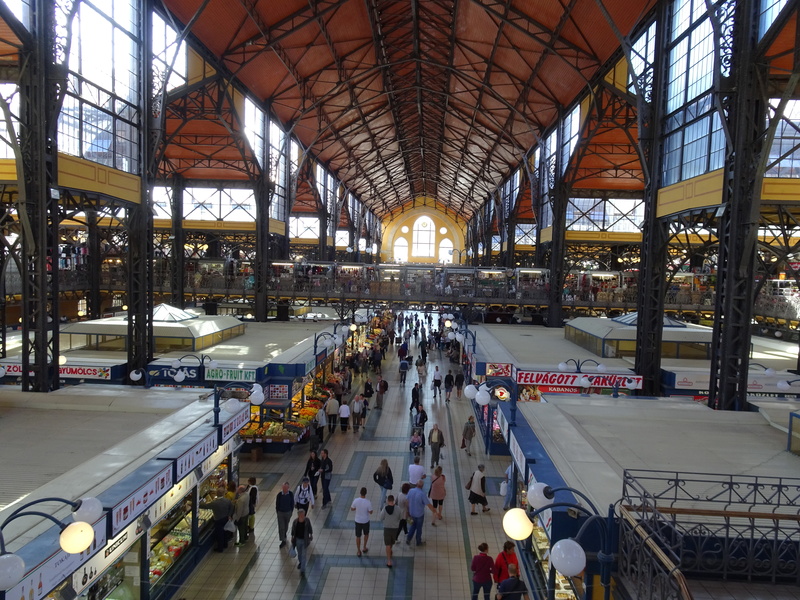 Taste Hungary is owned by Gábor and Carolyn Bánfalvi, and both were great in making sure Charlie and I had a wonderful first visit to Hungary. 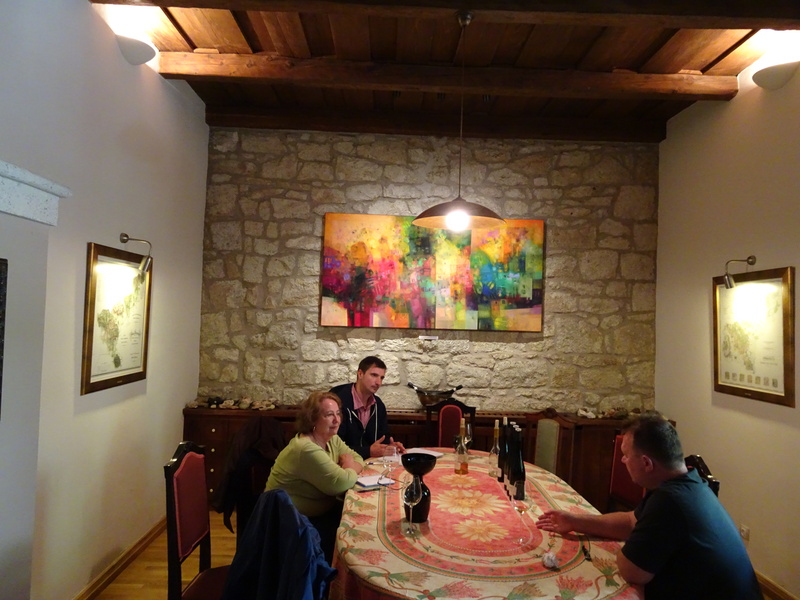 Our stay in Hungary included a great visit to Tokaj, where Gábor led the way in our visits to three pincészets (or wineries; you will also see “pince” or “birtok” to describe a winery). Gábor also arranged an “old Aszús” tasting at his wine shop in Budapest – the Tasting Table (http://tastehungary.com/tasting-table-shop/). 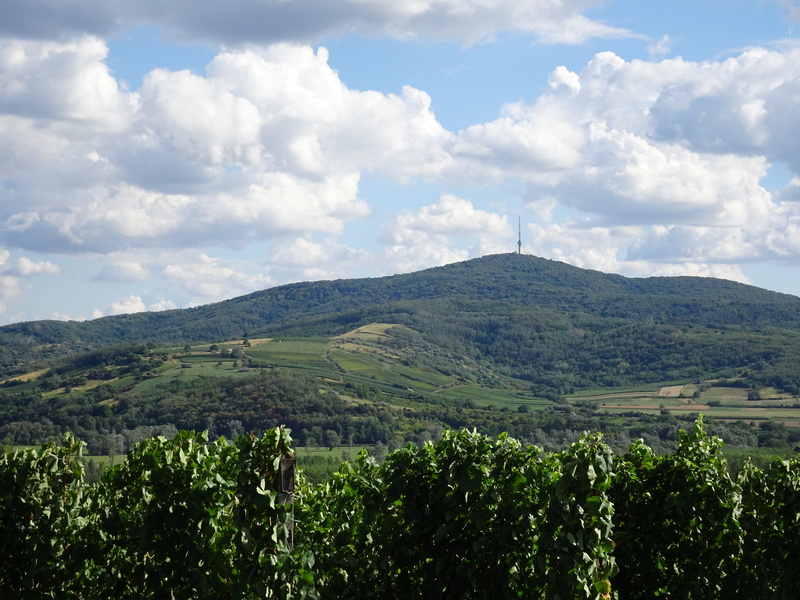 Upon returning to Vienna, we stopped in the Etyek and Pannonhalma wine regions in Hungary. Our guide to and from Vienna and Budapest, and while in Budapest, was Virág Lastóczki. Virág is a great, personable and knowledgeable guide. 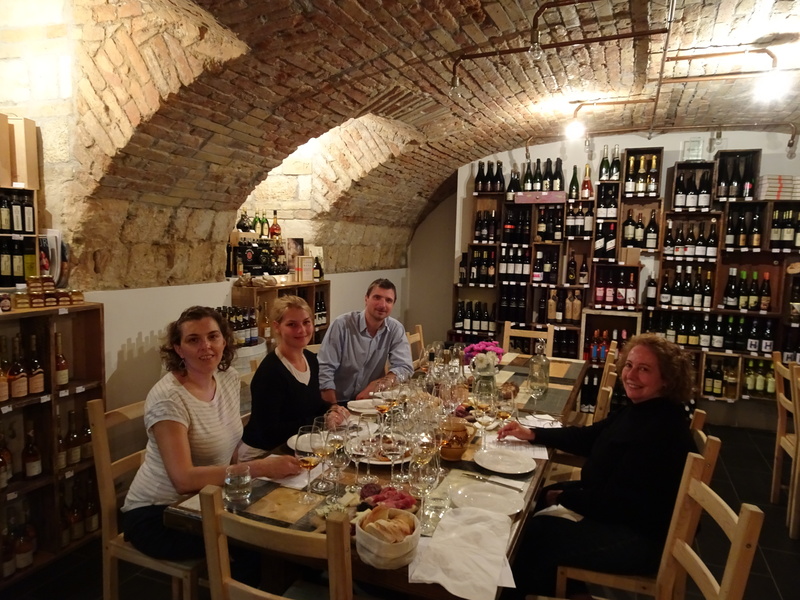 Charlie and I highly recommend you contact Gábor if you are interested in the wines from Tokaj and the other wine regions in Hungary, and we highly recommend Taste Hungary and Virág to lead you through Budapest and Hungary. 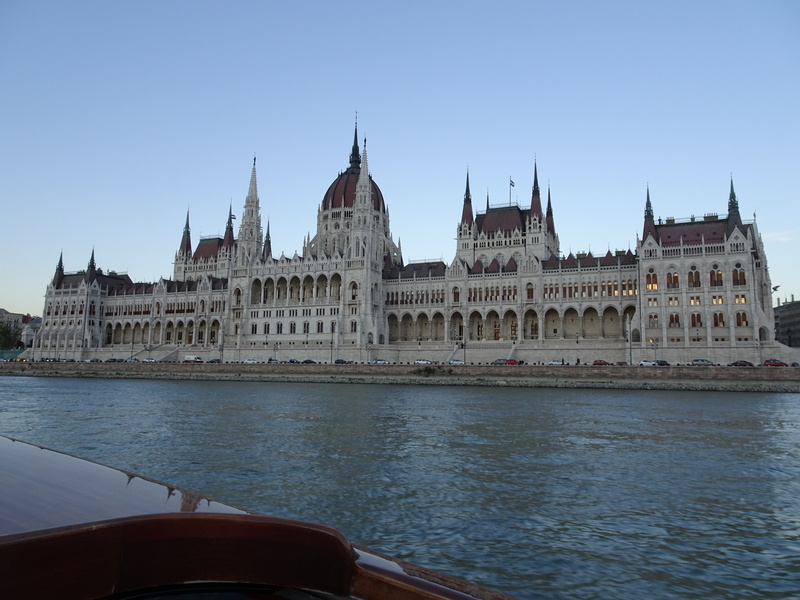 Budapest is a vibrant city with some beautiful buildings and vistas. 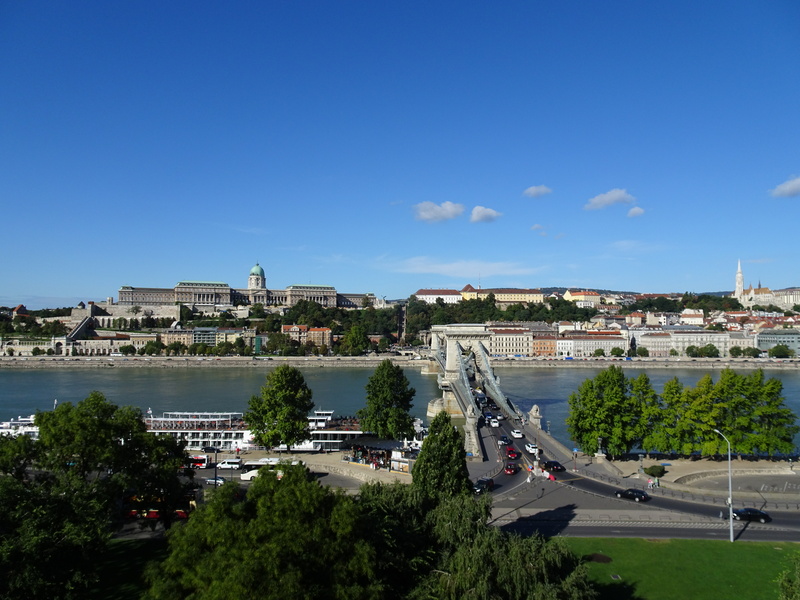 We enjoyed our stay in Budapest and Hungary, and when you think that the roads and modern infrastructure were practically all built after 1989, the progress is amazing. 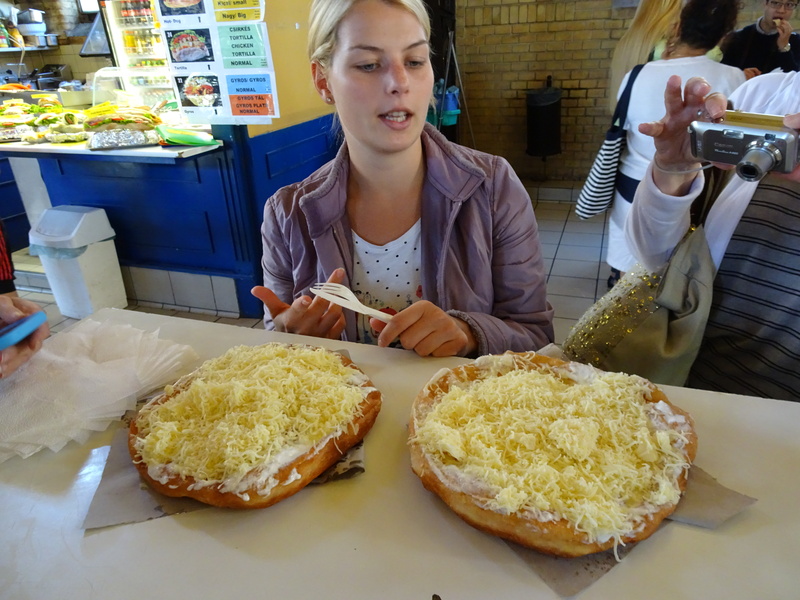 While in Budapest, we took one of Taste Hungary’s Culinary Walks with Virág, and that is a great way to experience the food culture of Budapest. 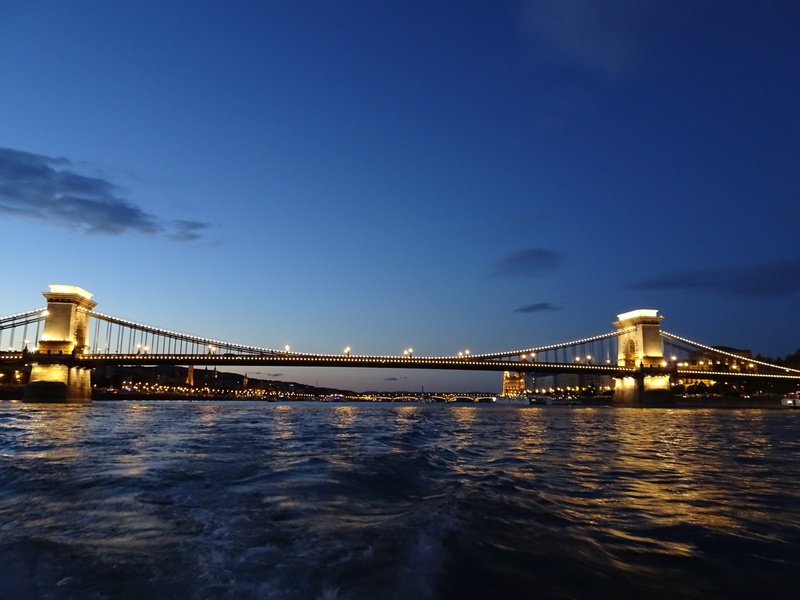 The highlight of our visit to Budapest was the private Danube river cruise (really a nice-sized speed boat) that Taste Hungary had arranged for us one evening. 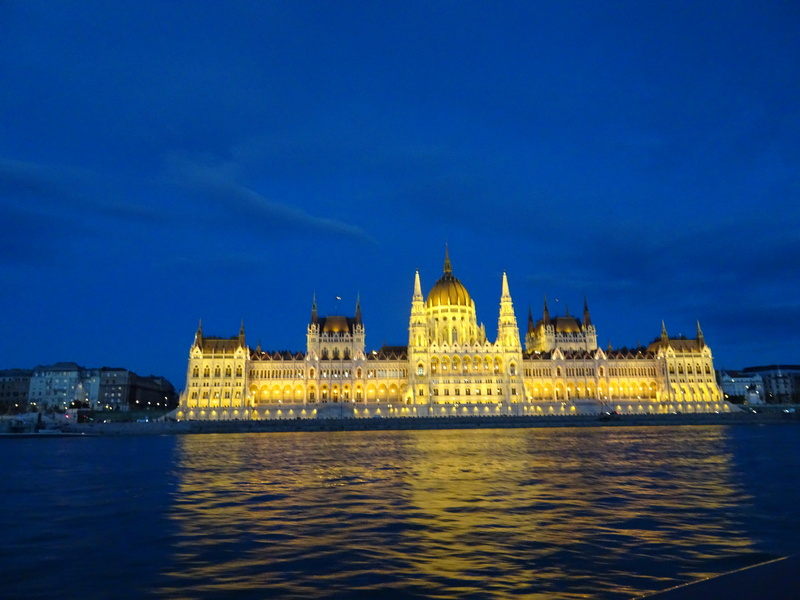 To cruise and speed along the Danube in the evening, and then at night – with all of the buildings lit up – was remarkable. To understand the wines of Tokaj (Tokaj is the region, and Tokaji is the wine produced in the region – both pronounced “Toe kye”), you have to understand the history of Hungary. 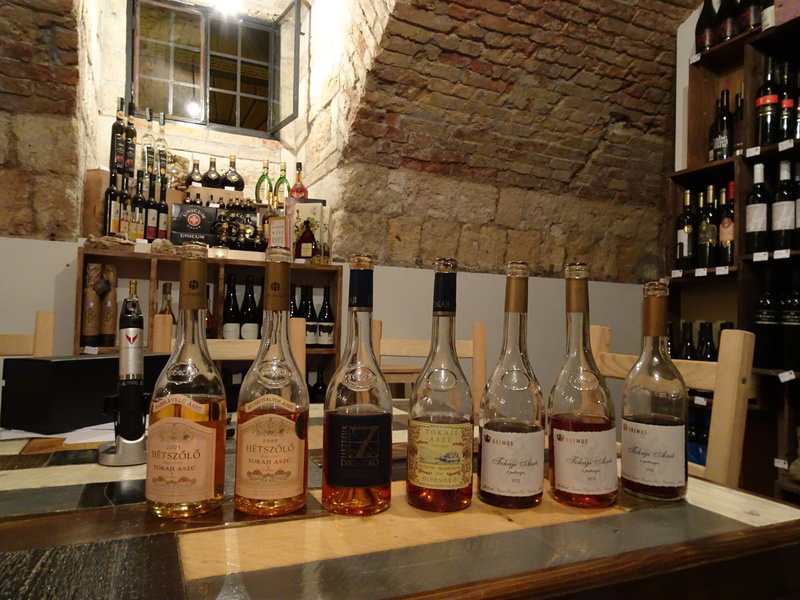 By the end of the 17th century Tokaji was considered one of the world’s greatest wines. Royal decrees were issued to safeguard quality, and the first ever known system of classified growths was devised in Tokaj in the mid-17th century. The 18th and 19th centuries saw the wines from Tokaj reach their greatest height. 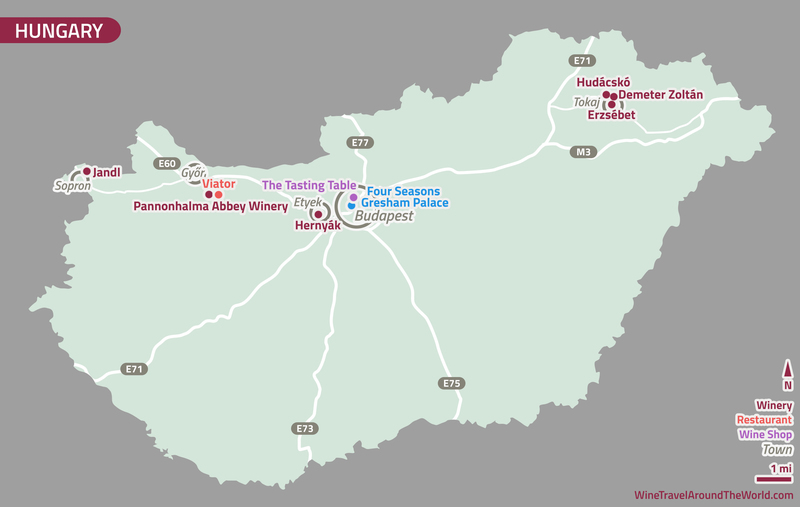 Imperial courts throughout Europe and Russia purchased and drank Tokaji. King Louis XIV called the sweet wines of Tokaj – vinum regum, rex vinorum – wine of kings, king of wines. Yet, after such a glorious past, the region was decimated by two World Wars and the advent of communism. Under communism, winemaking was centralized into a single state-owned holding, and quantity, not quality, became the objective. 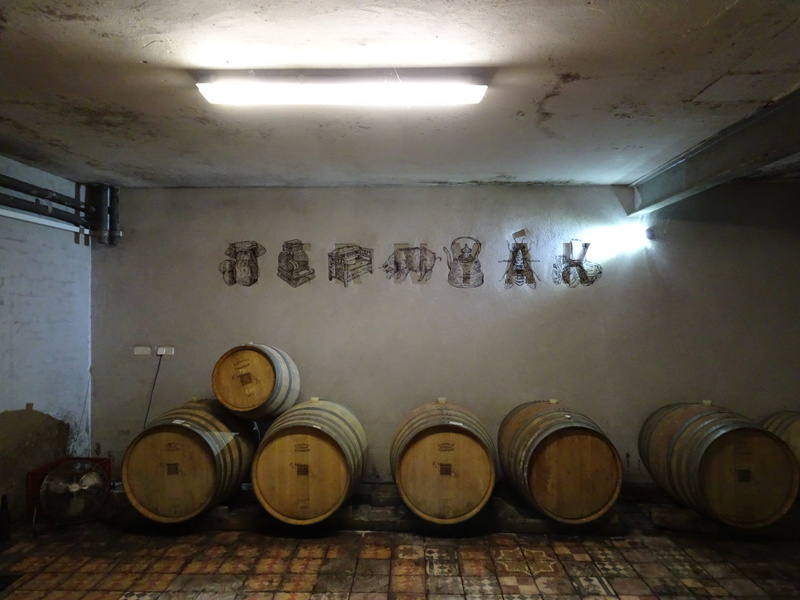 When communism fell in 1989, the winemakers of Tokaj had to build their vineyards and their winemaking from scratch. As several people told us, when you lose 40-50 years of history, you don’t just lose years, you lose the link to your past and the knowledge that is passed from generation to generation. 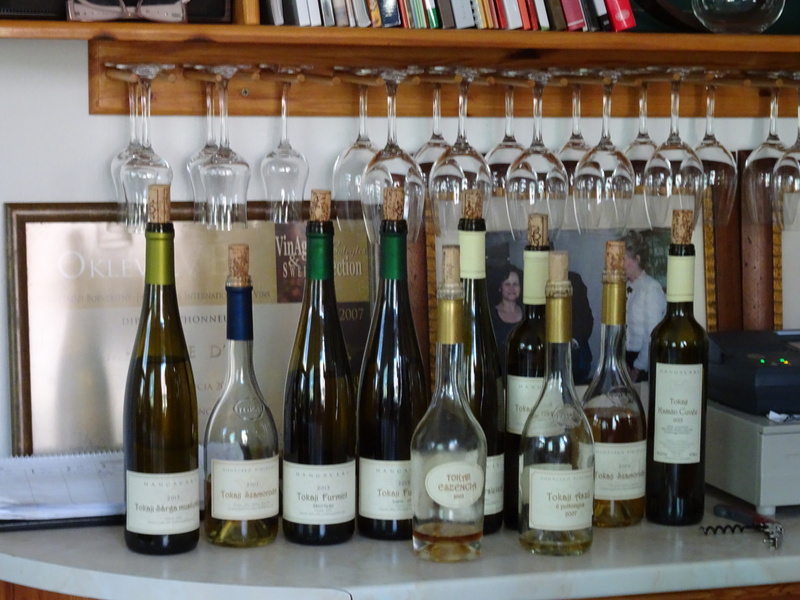 The year 1989 saw the beginning of a vigorous renaissance in the Tokaj. With the influx of substantial money from foreign investors, the replanting of vineyards and the building of new facilities started. 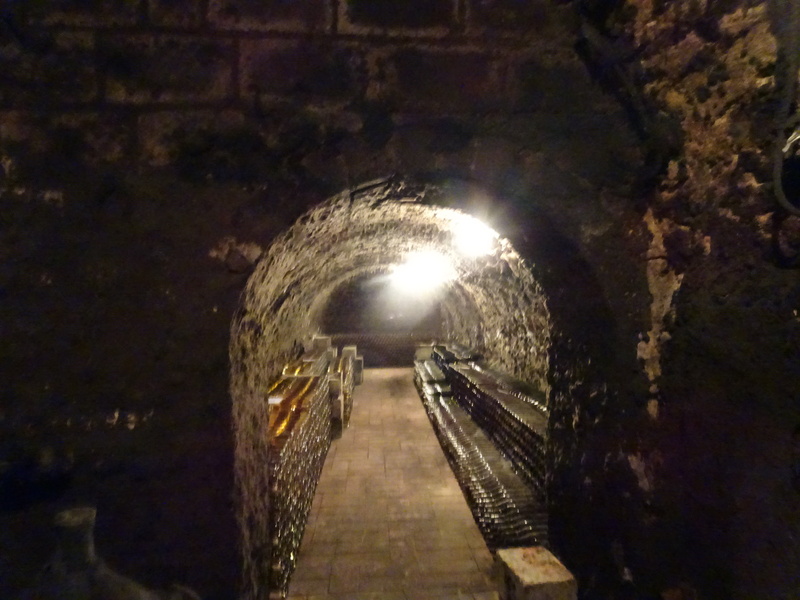 Tokaj began its path back to its past glory. 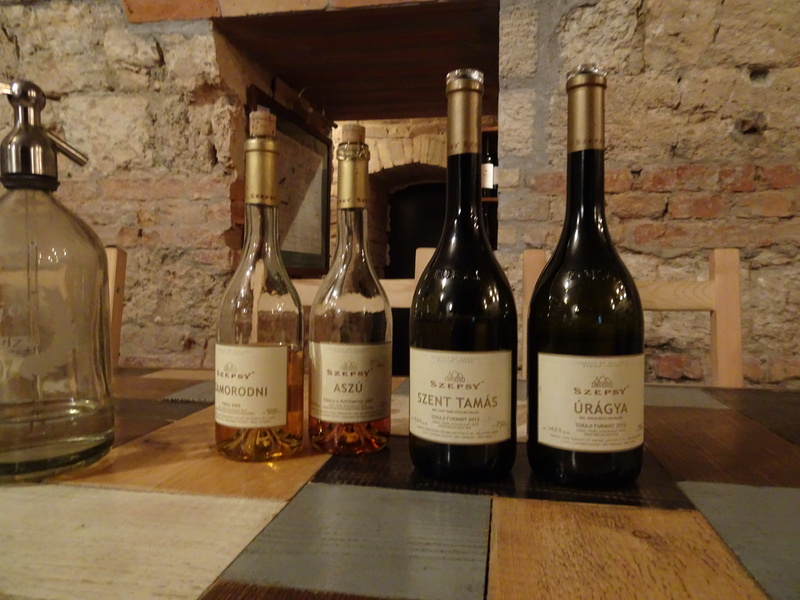 We visited three pincészets in Tokaj, and each one is helping shape the future of this region. 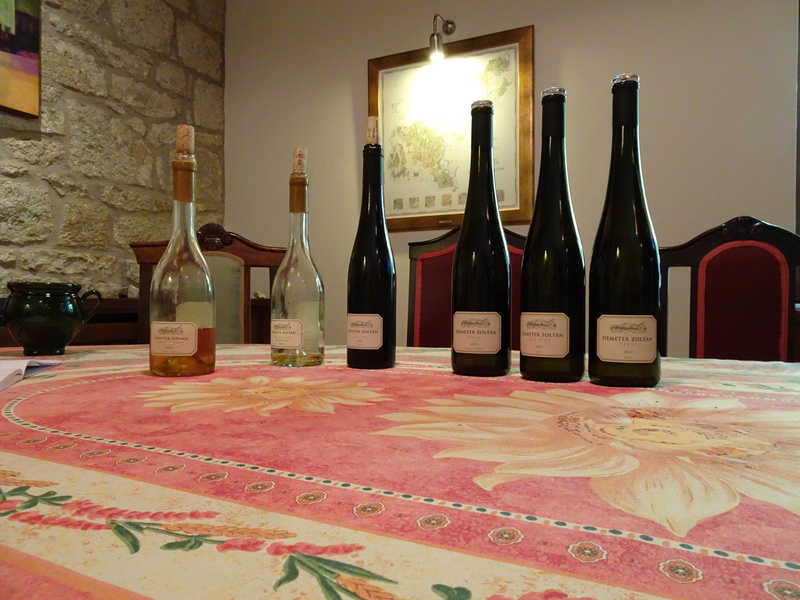 But, before I describe our visits, a short introduction to the wines of Tokaj might be helpful. Sweet Tokaji wines are typically a blend of Furmint, Hárslevelű and Sárga Muskotály grapes. A base dry white wine is first made (usually with Furmint grapes), then this base wine is mixed with Aszú berries (botrytised, shriveled grapes that are picked berry by berry). During harvest, it can take up to 30 passes in the vineyards to pick the botrytised gapes at the optimal time. These botrytised grapes were originally picked and placed into 20 liter wooden tubs called puttony. 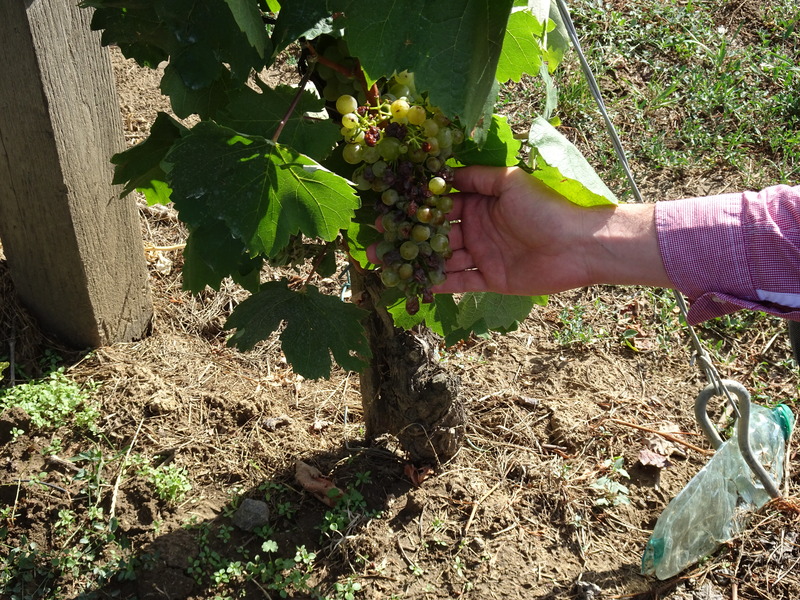 Traditionally, the concentration (sweetness) of the Tokaji wines was defined by the number of puttony added to the base. Today, the “puttonoys” is based on the amount of the residual sugar in the final wine. The higher the puttynos, the higher the sugar concentration. The top Aszús are 5 or 6 Puttynos. Szamorodni wines are made from grapes picked at the end of the harvest. Whole clusters (not the berry by berry picking done for Aszús) are used to make szamorodni, and the quantity of botrytised grapes in the cluster will determine the sweetness of the wine. There can be a dry szamorodni if the whole clusters do not have many botrytised grapes. 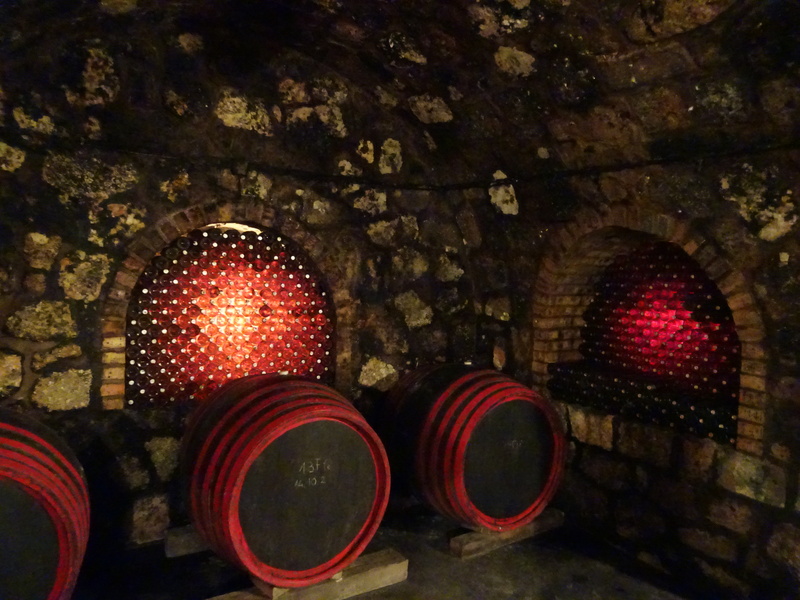 Eszencia (or Essencia) is the richest and rarest of Tokaj’s sweet wines (although it cannot technically be called a wine because of its low alcohol level). Eszencia is made from the free run juice of the Aszú berries. The sugar concentration of Eszencia typically ranges from 500-700 g/L, but in certain years can be as high as 900 g/L. Demeter Zoltán in Tokaj (http://www.demeterzoltan.hu/) – I had asked Gábor to see if he could arrange a visit with István Szepsy and/or Zoltán Demeter. Remember last names are written first in Hungarian, but for my blog, their given names are first (but the name of Zoltán’s pincészet, and the name on the wine label, is Demeter Zoltán). Mr. Szepsy could not meet with us, but Gábor was successful in arranging a visit with Zoltán. 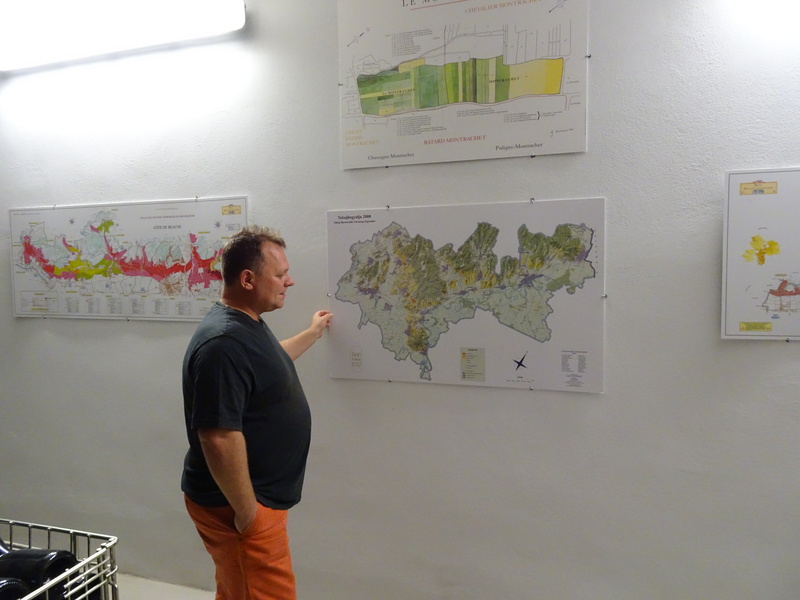 As Zoltán said “even though we had 500 years of history in making wine in Tokaj, we had to rediscover the vines, the wine and the quality.” Zoltán appears to be in large part, a one-man show. Zoltán told us that he wants to have control over every aspect of his winemaking, because only he is accountable for the wine, only he fully understands the vision for his wines. Zoltán is widely regarded as one of Hungary’s most accomplished winemakers. Zoltán and István Szepsy were the first ones to make quality dry white wines from the traditional grapes used to make the famous and historical Tokaji sweet wines. 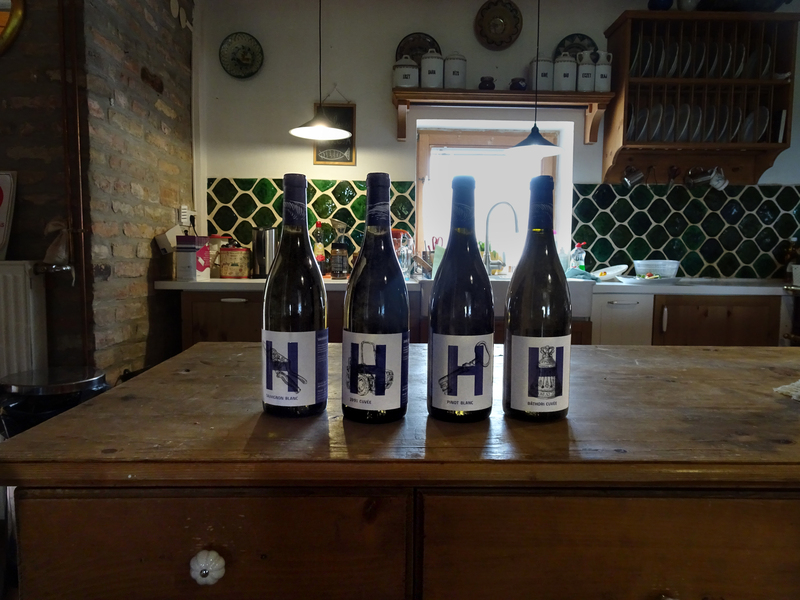 Throughout our stay in Hungary, Charlie and I very much enjoyed the dry Furmints, and if you have never tasted this wine, try one and see what you think! Hudácskó Pincészet in Bodrogkisfalud (http://hudacsko-pince.hu/index-en.html) – we had a wonderful visit with Anita Hudácskó that included a home-cooked traditional Hungarian meal paired with Hudácskó wines. Anita made the best roasted potatoes that Charlie and I have ever eaten! We also drank the 2013 Sárga Muskotály, 2007 Szamorodni (dry), 2013 Furmint Sátorhegy, 2013 Furmint Lapis, 2013 Katalin Cuvée and 2003 Eszencia. Erzsébet Pince in Tokaj (http://erzsebetpince.hu/eng/) – a wonderful visit and tasting with Hajnalka (Hajni) Prácser. Hajni is the daughter of the winery’s founder, Erzsébet Prácser, and together with her brother, Miklos, now run Erzsébet Pince. Of special interest are the cellars that were built in the 1700’s, and that formely served as the fermenting and aging cellars for the tsars and tsarinas of Russia. 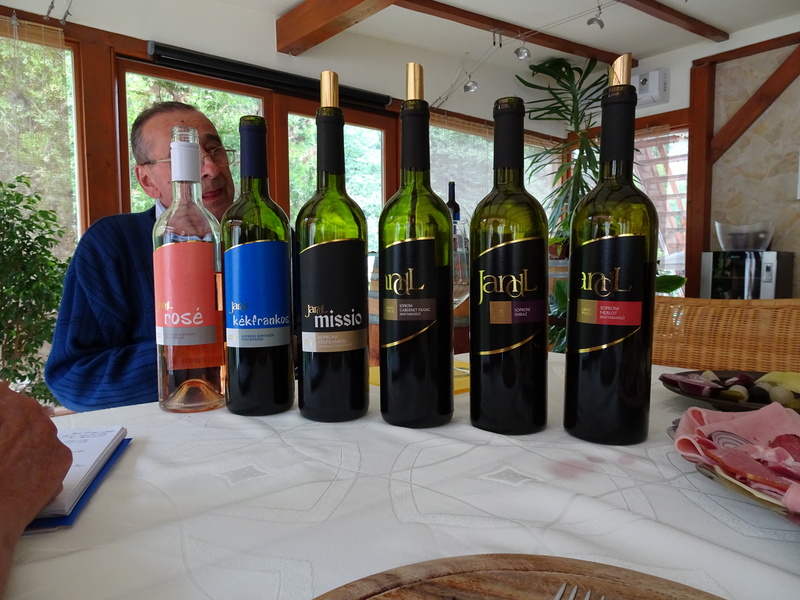 I had originally asked Gábor to arrange a tasting of Erzsébet Pince’s full portfolio of dry wines, as well as a vertical tasting of their Aszús (11 dry wines and 7 aszús). I don’t know what I was thinking! We wisely decided to scale back on the dry wines. Hernyák Birtok­ in Etyek (http://www.hernyak.hu/eng.html) – a very nice visit and tasting (with a cheese and charcuterie plate) with Valéria Hernyák. 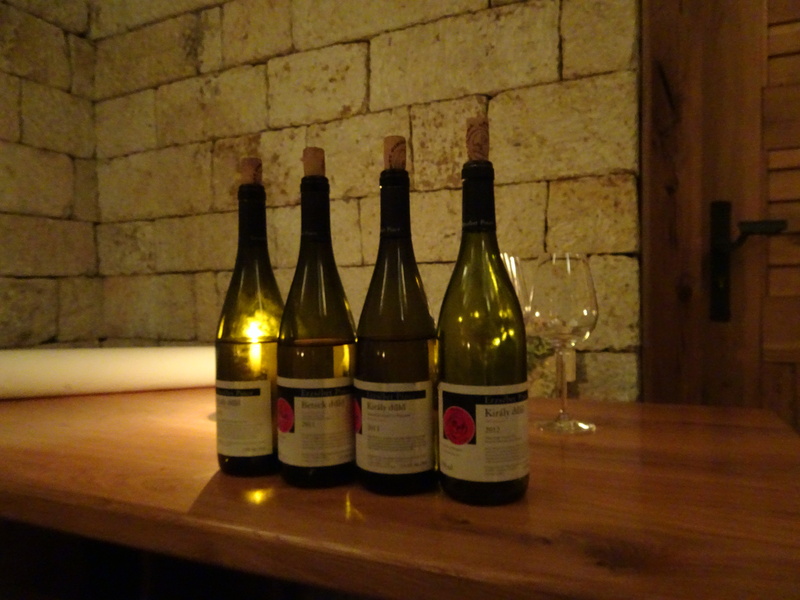 We tasted several wines, but our favorite (buy) wine was the 2014 Cuvée 2091 (2091 is the city code for Etyek). 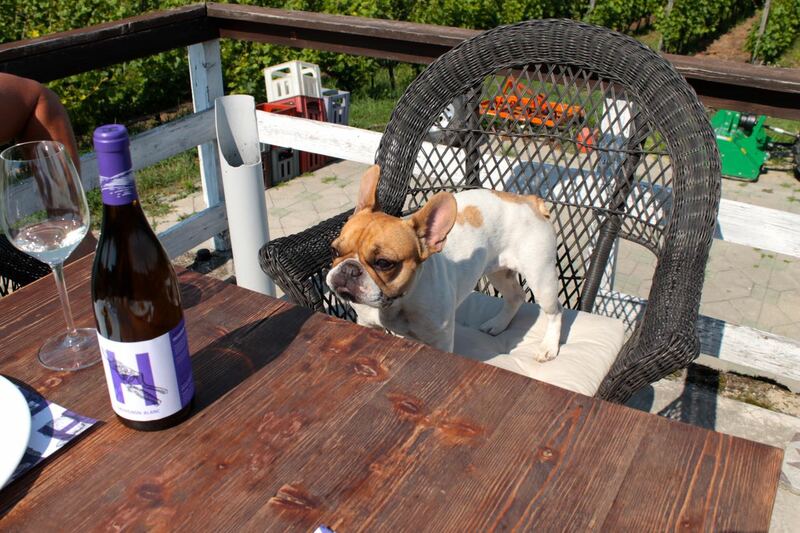 Bijou, the winery dog at Hernyák Birtok; Bijou is so cute, she is even on one of the wine labels! Pannonhalma Abbey Winery (Apátsági Pincészet) (http://www.pannonhalmibor.com/) and Viator restaurant (http://viator.co.hu/en/) in Győr – we had a fantastic lunch at Viator, paired with 5 wines (4 whites and1 red) made by the Abbey. Viator is housed in a very modern building at the base of the Abbey, and takes a modern approach to Hungarian food and ingredients. 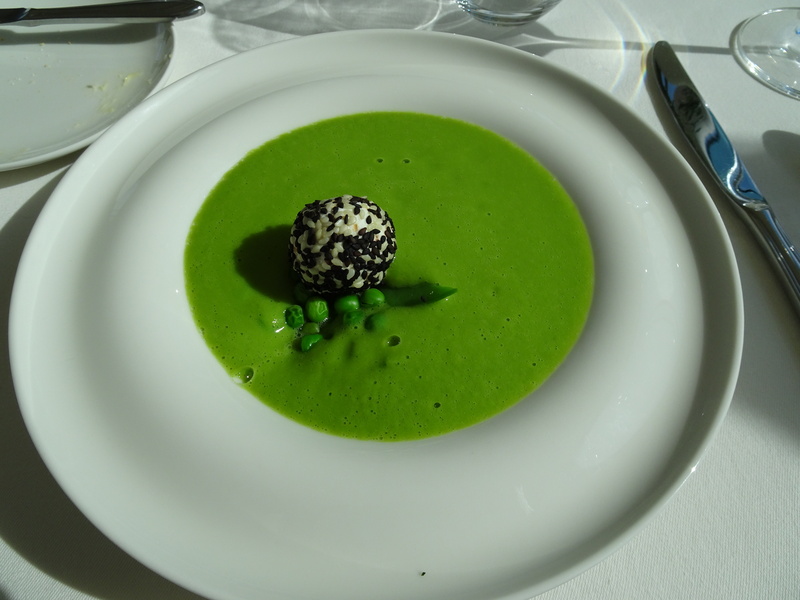 This was the best meal we had in Hungary, and we would highly recommend it! 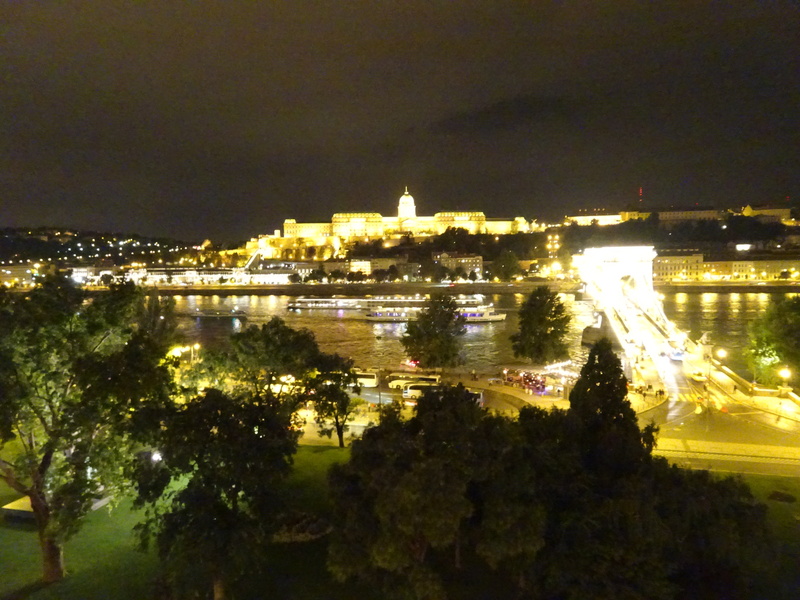 As I mentioned earlier, Charlie and I had a fantastic adventure on the Danube one evening. 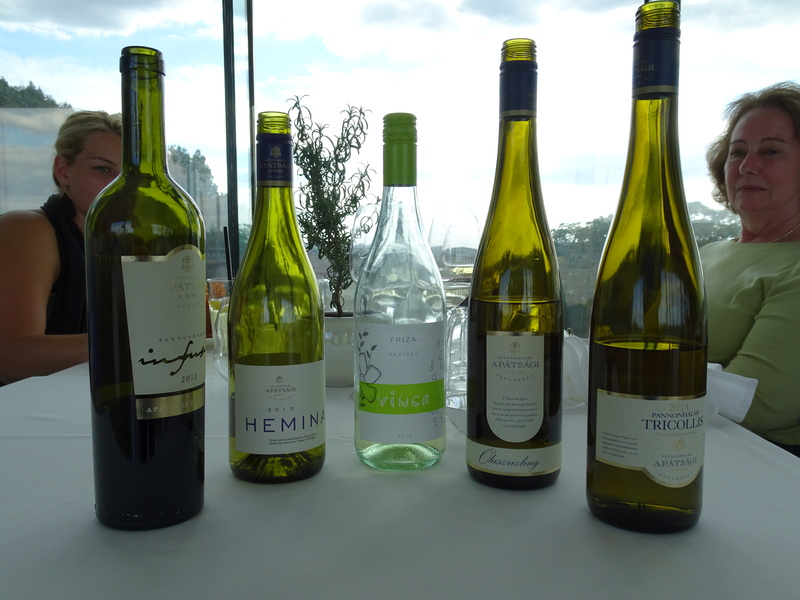 Since we were not able to meet with István Szepsy, I had asked Gábor to select some Szepsy wines for our Danube River cruise. Gábor selected the 2013 Úrágya (a dry furmint), the 2013 Szent Tamás (a dry furmint), the 2009 Szamorodni and the 2007 Aszú (6 puttonyos). All four of these wines were great, and all four were buy wines! After drinking his wines, it is clear why Szepsy wines receive the very highest accolades. My favorites were the 1972, 1956 and 1999. Gábor used the Coravin to pour these 7 old Aszús, so we were able to pack the bottles after the tasting, and bring them home to enjoy over the next few months. If you are ever in Budapest, check out the Tasting Table, as all of these old Aszús, as well as a wide selection of other Hungarian wines, are available to purchase. 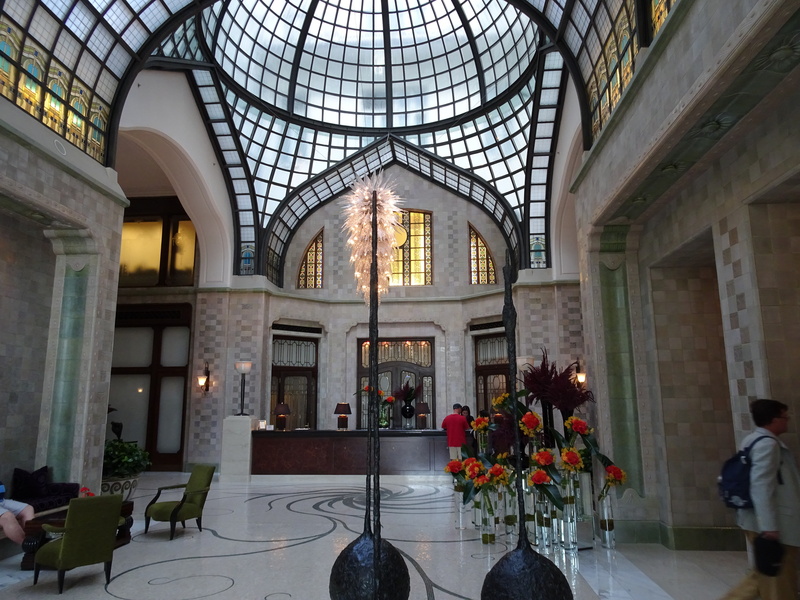 We stayed at the Four Seasons Gresham Palace in Budapest (http://www.fourseasons.com/budapest/), and I would highly recommend it. The traffic in Budapest can become a huge traffic jam. Roads and bridges (including the Chain Bridge) can be closed for the day, with little or no notice. So, what should be a short taxi ride can turn into a very long taxi ride. 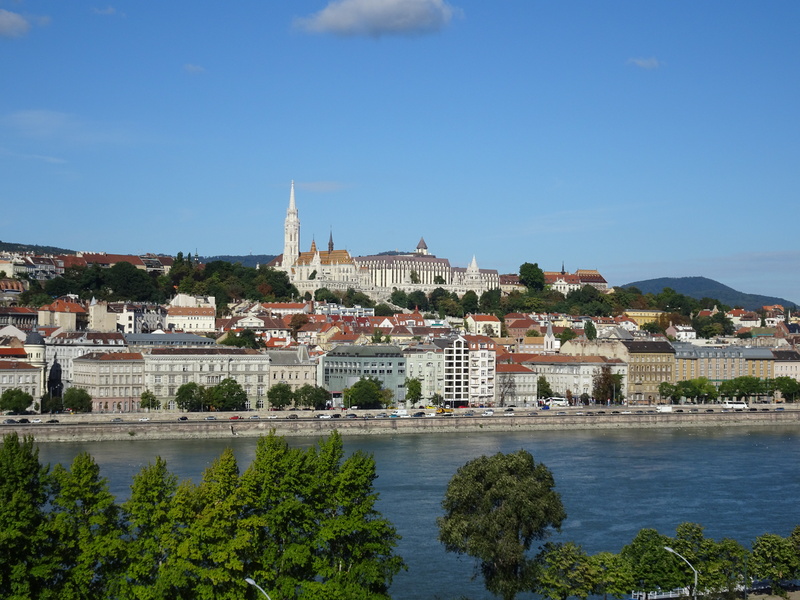 Although Hungary is in the European Union, its currency is not the Euro. Rather, Hungary’s official currency is the Forint, designated as Ft or HUF. This entry was posted in Hungary by Marilyn. Bookmark the permalink. Our next trip is to Provence, so you can come along on that trip!